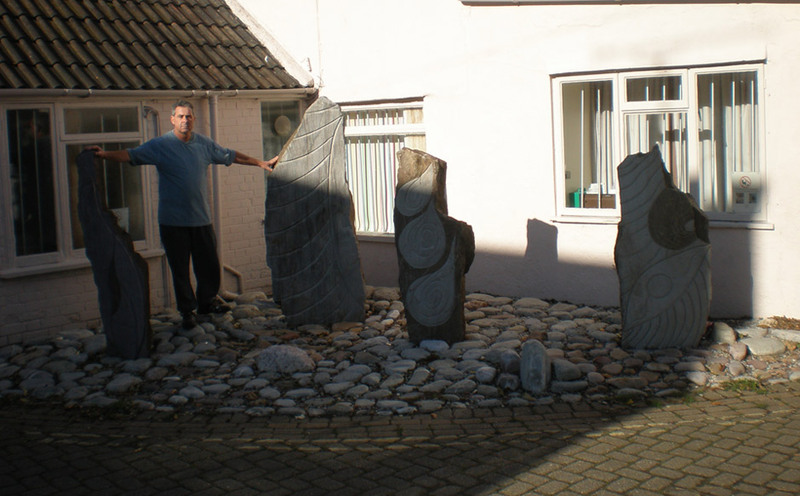 David Milton is an established Watchet based sculptor in stone, using materials sourced from the immediate locality. His highly individual approach and method of working is uniquely his own. His work is non-representational, although integrated with a high degree of symbolism.